Deborah Mullan/A Creative Living Professional : Go To Yourelf! That which can be known will be known. That which is beyond knowing is permitted to whisper, softly. yet unable to utter a word of its presence. So G‑d says to Abraham and to us, his children: Take your soul out into the world, take its very essence there. 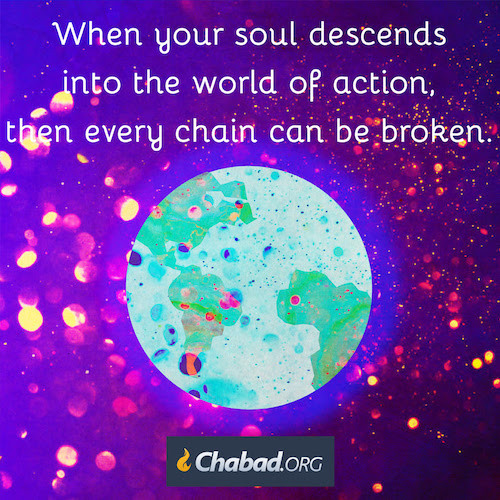 discover G‑d within the commonplace workings of this world. —its very core of being. In this world, the soul knows no borders.